Mr. Chen's practice is concentrated on Intellectual Property, including U.S. and foreign patents. He works closely with foreign associates in obtaining worldwide patent protection and has many longstanding contacts throughout Asia. Mr. Chen speaks and writes fluent English and Mandarin Chinese, and understands some Japanese. 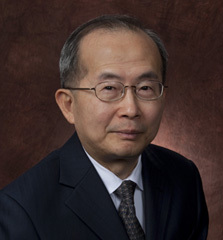 Mr. Chen routinely relies on his language skills to communicate and advise our clients on intellectual property matters. He frequently advises patent agents and attorneys from the Far East on U.S. patent practice and has a close working relationship with these agents and attorneys as he coordinates U.S. representation. He practiced as a patent engineer in Taiwan from 1973 to 1983 and has been with Bacon & Thomas since 1984.